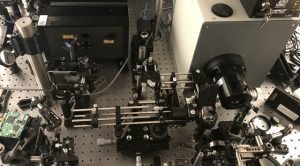 World’s fastest camera; searching for bacteria. The Institut national de la recherche scientifique (INRS) in Canada has developed what researchers say is the world’s fastest camera. The camera, called T-CUP, is capable of capturing ten trillion frames per second. It’s possible to nearly freeze time to see various phenomena in the system. In a system, the technology can be used to take high-speed images of samples in various segments, such as biomedical, materials science and others. Today, the industry uses several types of high-speed imaging systems. One type is based on a pump–probe measurement techniques. In simple terms, the system takes images using ultrashort laser pulses. For this, the laser pulse must be repeated many times and the accuracy depends upon the precise repetition of the pulses. But when an event must be recorded in a single measurement, this technique is sometimes not applicable, according to researchers from INRS. So, for this application, the imaging technique must capture the entire process in one shot, prompting the need for another technique–compressed ultrafast photography (CUP). CUP is said to take images at 100 billion frames per second. INRS’ T-CUP technology makes use of an improved version of CUP. INRS makes use of traditional femtosecond streak camera in a system. It also uses another camera that acquires a static image. T-CUP was used to analyze interactions between light and matter. In the lab, T-CUP recorded 25 frames taken at an interval of 400 femtoseconds. 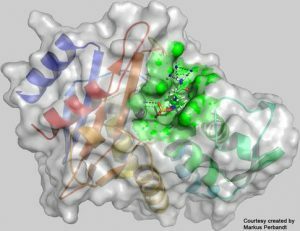 After years’ in development, the European XFEL has disclosed its first results—it produced an image of an enzyme responsible for a problematic antibiotic resistance. The European XFEL, an international research facility, consists of an enormous underground superconducting linear accelerator. This in turn propels a free-electron X-ray laser. The system generates ultrashort X-ray flashes at 27,000 times per second. In the facility, there are various stations to conduct experiments and image samples. Just days after the facility was inaugurated, the system was used to generate images of the structure of an enzyme responsible for antibiotic resistance. The bacterium, dubbed Klebsiella pneumoniae, is a major concern in hospitals worldwide. Scientists used the X-ray laser to study the atomic structure of the non-mutated enzyme. Laser pulses were used to obtain flash X-ray exposures of tiny crystals of the structure. Each exposure gives rise to a diffraction pattern. Using the technology, researchers found an unknown protein structure. The enzyme is known as CTX-M-14 β-lactamase. It comes from the bacterium Klebsiella pneumoniae.